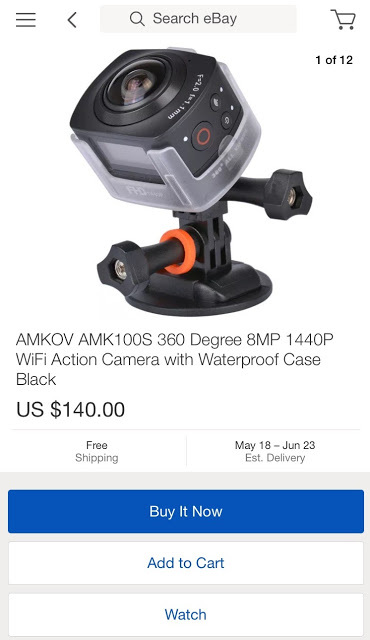 The Amkov AMK100 (previewed here) is now showing up on eBay, with prices ranging from around $105 to $140. Note: Some include the waterproof case, and others don’t. Note also that despite some showing a 4k logo on their ad, this camera is not known to be capable of 4k video (to my knowledge, it maxes out at 1440p at 30fps). 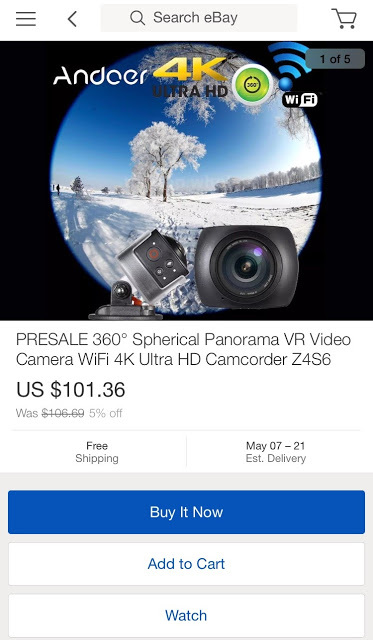 I don’t plan to get an Amkov but I ordered an X360 camera which should be arriving in a few days, and I will post sample images and view from that one. For related posts on low-cost cameras, click here or on one of the labels/tags below the sharing buttons.